Now that the public is becoming more eco-conscious and trying to find ways to improve energy-efficiency, we’re starting to look into creative solutions to reduce our energy demand. One of these ways is re-evaluating the way we build our houses. There are many different ways to cut down future energy use when building or renovating a home. One that is becoming increasingly popular is installing lighter colored or reflected roofing, creating what is known as a “cool roof.” A cool roof can lessen a home’s energy consumption, especially during summer months. This eco-friendly approach to roofing utilizes basic knowledge to create a more energy-efficient home. Just as wearing lighter colors keeps our bodies cooler when it’s hot outside, a lighter colored roof can help keep your home cool while the sun is beaming down on it. In fact, the ancient Greeks used this approach in building their infrastructure because back then, light colors were one of the few ways to keep cool. The most obvious benefit of installing a cool roof is your energy savings. 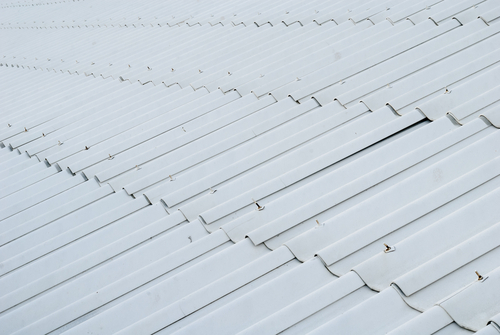 Since cool roofs do not absorb as much heat from the sun, your home will be colder. This means you will not have to use your air conditioning as much during summer months. Who doesn’t want to save money? Not only would you save money by using less energy, you’d also be helping Mother Nature by reducing carbon emissions from power plants. With 32% of all carbon emissions originating from electricity consumption, we could stand to cut back our demand for the sake of the environment. If you’re using less electricity, you’re contributing less to the peak demand for it. This can help reduce power outages as well as avoid those peak demand rates. Lower energy rates means you’d be paying even less with a cool roof because you’re consuming less at a lower rate. What’s not to like about that? If you and your neighbors installed cool roofs, you could reduce your local air temperature. Have you heard of the urban heat island effect? An “urban heat island” is a densely populated area that is lacking natural moisture as a result of infrastructure in the place of vegetation and open spaces. This lack of moisture causes a surface, such as a roof, to increase its temperature to 50-90 degrees Fahrenheit hotter than the actual air. Cool roofs can significantly reduce this effect, especially in mass quantities, by putting off less heat than darker, traditional roofs. Decreasing your roof’s temperature can also extend its life. When a dark roof absorbs heat, it stresses the construction and as a result, shortens its lifespan. Of course, a lot of a roof’s life expectancy is related to the materials it’s built with. However, regardless of the material, if a roof is absorbing less heat, it won’t deteriorate as quickly.